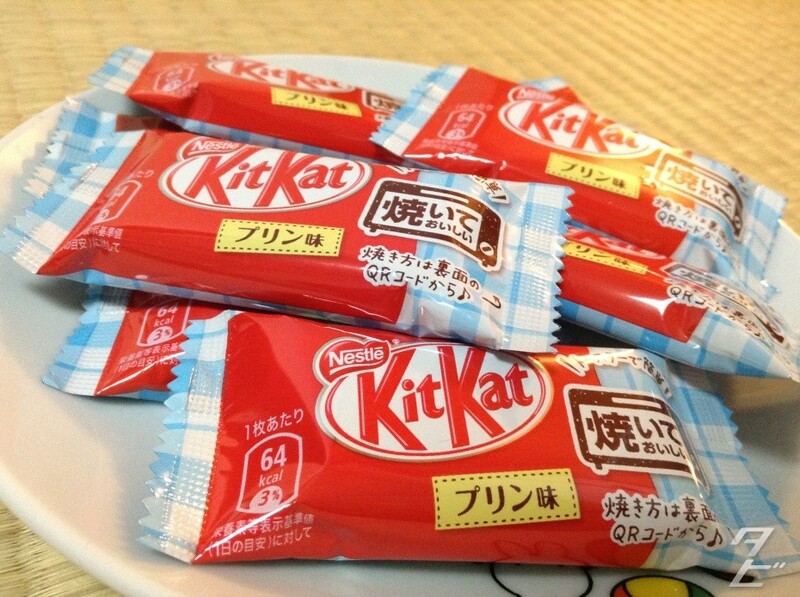 Tubbygaijin.com » Tested: Kit Kat, baked pudding flavour! We’re already spoiled for choice when it comes to Kit Kat flavours here in Japan(my personal favourite flits between green tea and yatsuhasi), and we got an interesting addition to the roster just the other day – pudding flavour! 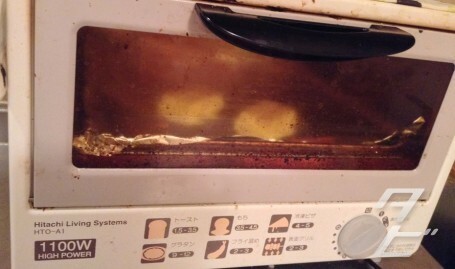 Not only that, these are made to be heated in your toaster oven before eating, nom! Turns out baked Kit Kats apparently aren’t such a new thing here, during my two-day hunt for these I found plenty of supermarkets stocking the regular chocolate wafers in bakeable form. This pack set me back ¥256 and contains 13 packs of mini-wafer pairs just waiting to be toasted. AND BOOM! 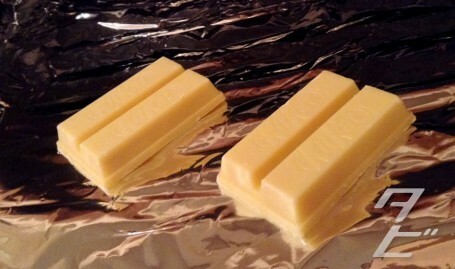 Baked Kit Kats! 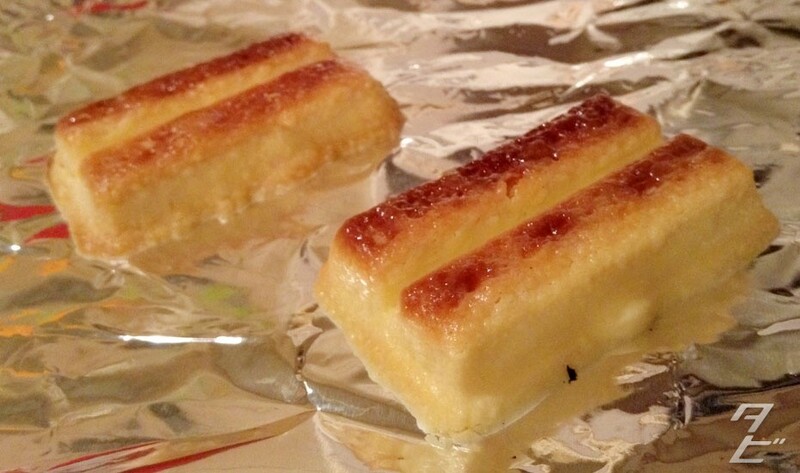 They brown nicely on top once ready, mimicking the hugely popular Crème caramel pudding they’re based on. The taste was very nice! really sweet, and the coating had caramelised a little which made it very different from a regular Kit Kat. My only complaint is I probably should’ve waited for it to cool a bit – in my excitement I basically ate molten Kit Kat, oh well! Thank you Kit Kat scientists for this marvel, thank you. 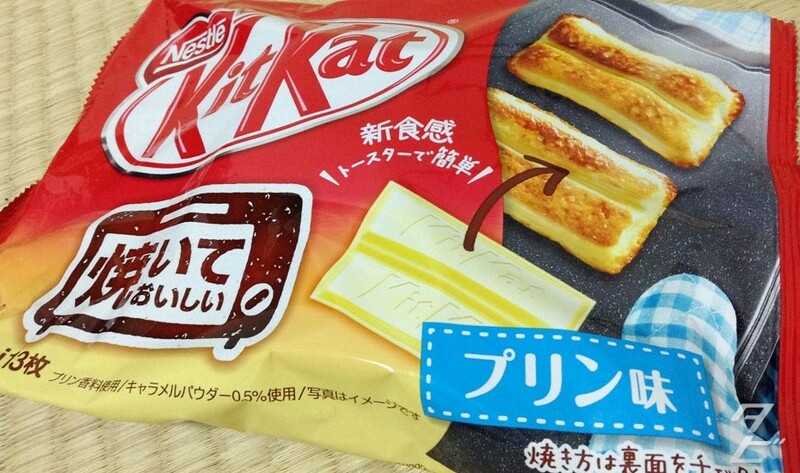 4 Responses to Tested: Kit Kat, baked pudding flavour! I’ll see about sending some to you gents, need to share the joy!